Detection of cavities: lasers can easily detect the cavities and can find the trace of tooth decay and helps to remove it easily. Used in dental fillings: in case of laser treatments, local anesthesia and traditional drills are not required. Lasers kill bacteria that are present in a cavity which can damage the health of tooth in long run. Treatment of tooth sensitivity: used to seal tubules present on the tooth’s root. Reshape the gum tissue: lasers are used in reshaping the gum tissue; in which the gum’s length covers much of the tooth. Crown lengthening: in this process lasers are used to reshape both gum tissue and bone for a healthier tooth structure, which further helps in the placement of restorations on the teeth. Removal of soft tissue folds: used to remove soft tissue folds from ill-fitting dentures without giving any unpleasant experience to the patients. Treating periodontal diseases: used to treat periodontitis and kills bacteria thus activating tissue regrowth. 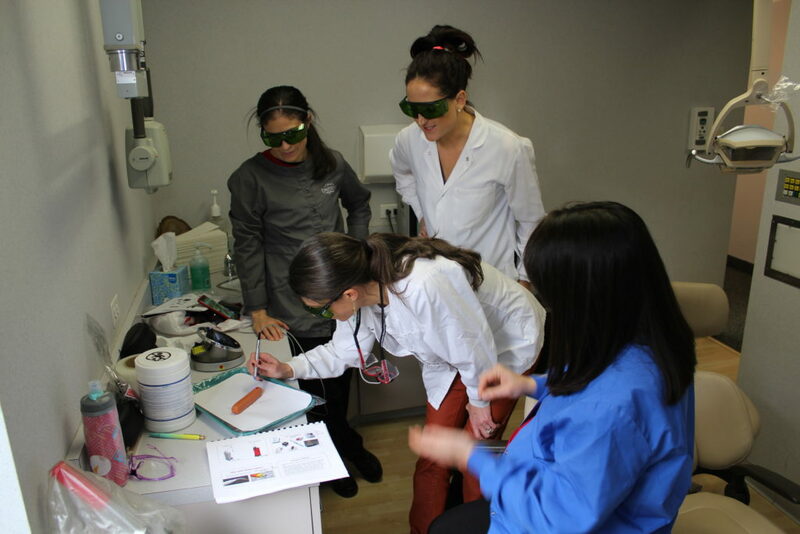 Educational institutions like Advanced Dental Hygiene provides various course program on soft tissue and hard tissue lasers thus giving a deeper insight into its usage on patients. Nowadays amd laser in Oklahoma City is trending for its easy go nature. Laser usage is setting a new standard in the field of dentistry to treat a variety of different dental ailments.